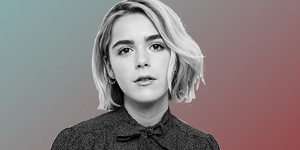 Welcome to I Heart Kiernan, the online home for all the Kiernan Shipka fans. We will provide you news, photos, in-depth information, media, fun stuff and much more on our favorite star! You probably recognize Kiernan as Sally Draper in Mad Men. She currently stars as Sabrina Spellman in Netflix's Chilling Adventures of Sabrina. Her latest role was Kat in the film The Blackcoat's Daughter. She will next be seen in the films Lapham Rising and The Silence. If you have any questions, concerns or comments, then do not hesitate to contact me. I hope you will enjoy the site, and that you will return within the near future for all the latest on Kiernan! 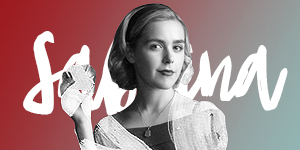 Check out Love, Kiernan, another fansite dedicated to Kiernan Shipka! I Heart Kiernan is an unofficial, non-profit fansite run by fans and is in no way affiliated with Kiernan Shipka, her management, or any representation there of. We take no ownership rights to any photos, media or information posted on the site. No copyright infringement is ever intended. Tags and watermarks on photos exist only for promotional purposes and do not imply ownership. If you feel any of the material rightfully belongs to you and want them removed, please contact us before taking any legal action. All original graphics and content belong to I Heart Kiernan. Video captures and magazine scans are provided by or exclusively to Kiernan-Shipka.net (unless stated otherwise) so please give us proper credit when redistributing them elsewhere.